Storage lockers have always been one of the mandatory requirements to store things in order to bring about a sense of discipline. Having said this, it is not only the sense of discipline that it is famous for, but also for the additional space that it creates after accommodating all the things. From big to small to perfectly fitted lockers, a storage solution comes in a variety that makes the selection process quite convenient. But when you have space constraints, investing in a storage solution would demand a second thought. Let me help you with your decision. Here are a few shelving storage products that could be very well considered, if you wish to install lockers in a place that is limited by space. Shelving products are well-known for its quality and durability. Apart from these attributes, it is also famous for the variety that it emotes when it comes to storage solutions. For all those who wish to invest in a space-optimized storage solution, here are the 6 best shelving products that could be considered. Read on to find out about them. Mobile shelves could be used to store a multitude of important files and folders in a systematic manner. The benefit of using mobile shelves is that they can be moved to and fro as per the requirement. These shelving could either be moved manually or through electrical power, increasing the floor spacing as and when required. Apart from capacity, they also make the best use of space optimization.They have a capacity that is way more than the standard storage locker. Such type of storage could be a perfect choice in places that witness huge chunks of papers and documents. As the name suggests, these types of lockers are designed in the shape of a cube. This could be one of the best options when you are running out of space and all you have is a small place to accommodate a locker that in turn would accommodate many other things in it. Cube lockers could be an ideal choice in schools, organizations and even in houses. Apart from their stature, a cube locker is light enough to be easily transported from one place to another. This considerably helps in making the best use of available space for a storage solution. There are workplaces that generally restrict the use of mobile phones on the premises. The staff is either required to store their phones in their respective drawer or in their assigned locker. How about allocating a mobile phone storage locker. This would occupy but a little space to store this electronic device with a guaranteed safety and security. This, in turn, would considerably save your space by eliminating the need to install the standard storage lockers. POD lockers are one of the most innovative creations in the world of storage solutions. These lockers are very well known for its added space-saving dominance compared to other storage solutions. You will find many tiny compartments arranged in a circular layout. One can very well place the locker in a corner and still be able to access each and every compartment of the locker. The rotating base makes it easy to reach out to each and every compartment of the POD locker. This type of locker would be the perfect choice for a space-optimized storage solution. PPE lockers could be very well defined as a storage locker that is extensively used to store all the personal protective equipment. The personal protective equipment that the workers or staff members are mandated to wear during their work hours. What if there wasn’t any special place for storing this equipment? It would definitely take up a place much more than required creating clutter and utter commotion. Investing in PPE lockers would not only provide a more disciplined and dapper look to the surrounding but will also help in proper space optimization. 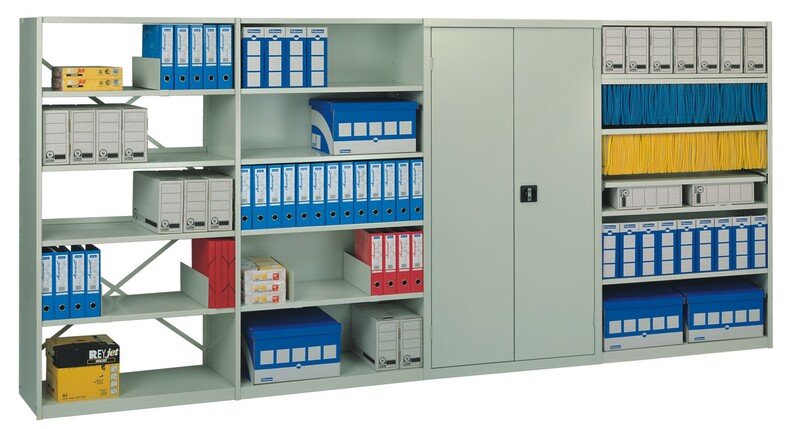 How about opting for lockers that stand true to your storage needs and requirements? Sounds interesting, isn’t it? When it comes to customizing lockers for storage requirements, you can very well shape it keeping in mind the available space. It is not only in the color and texture, you also get the privilege to decide the shape of a locker. Big, small, slim, round, square and the options are countless when you decide to go for a customized storage solution. One of the main functions of a storage locker is to provide space by accommodating all the things in it. The above-mentioned are some of the best shelving products that will get you storage solutions that very well optimize the available space. Apart from space optimization, these lockers are also an epitome of security, durability as well as convenience. So, even if you are running out of space or struggling with a limited space you can very well indulge in these locker options. This entry was posted on Wednesday, April 25th, 2018 at 5:08 am	and is filed under Shelving. You can follow any comments to this entry through the RSS 2.0 feed. You can leave a comment, or trackback from your own site.